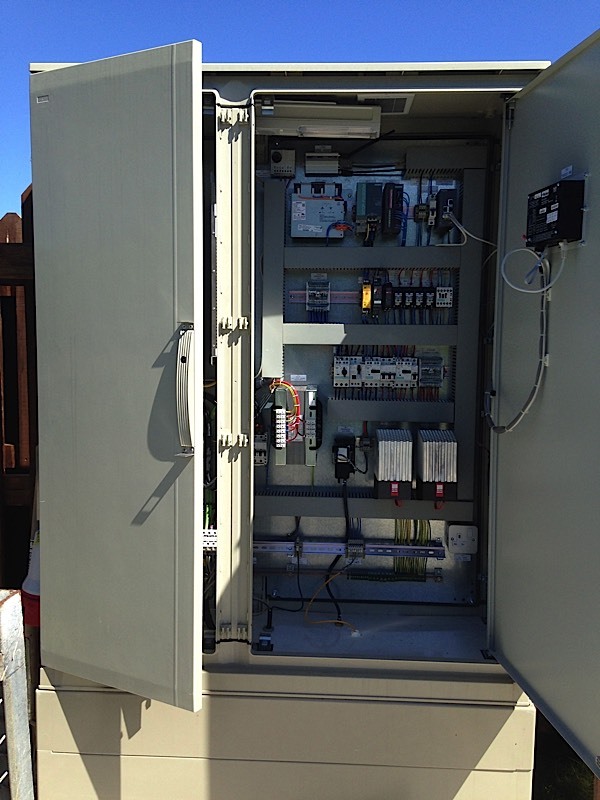 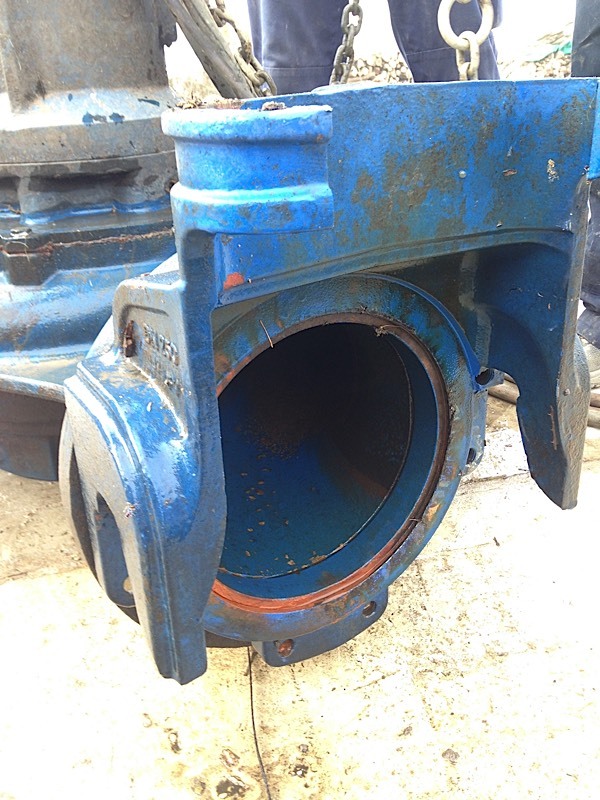 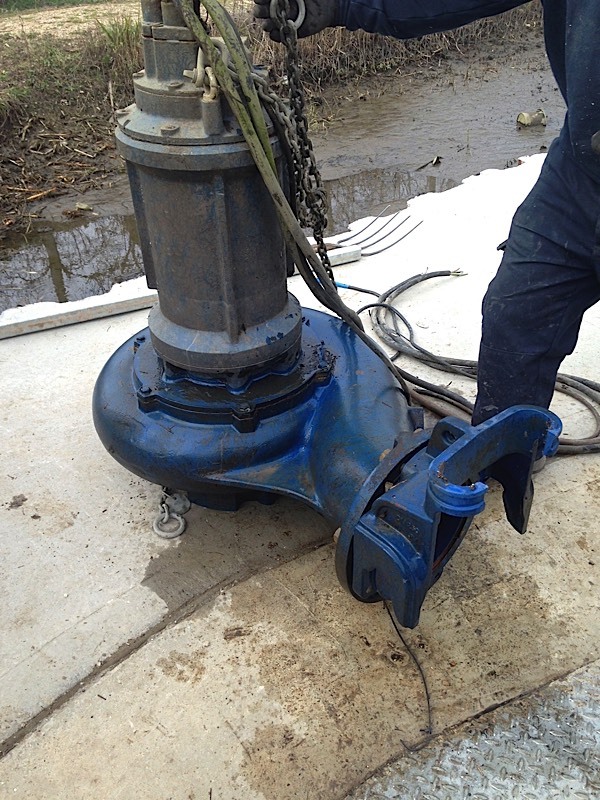 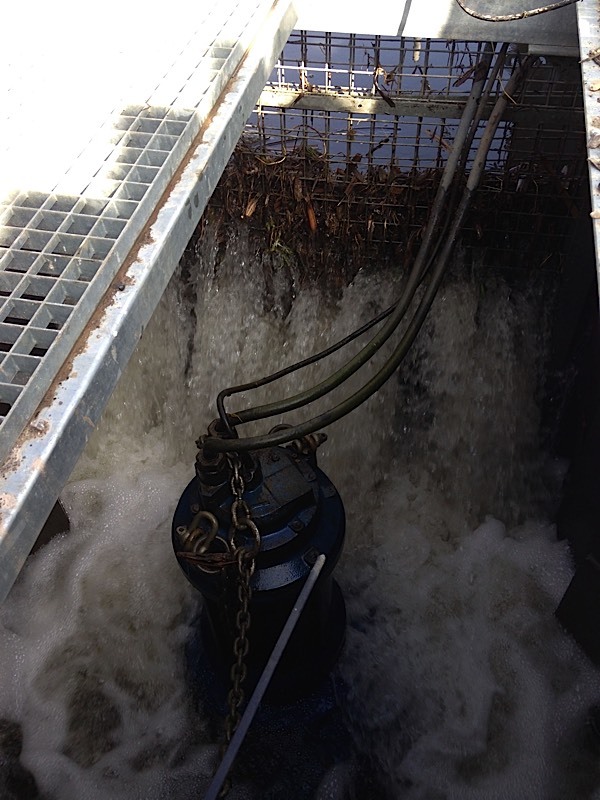 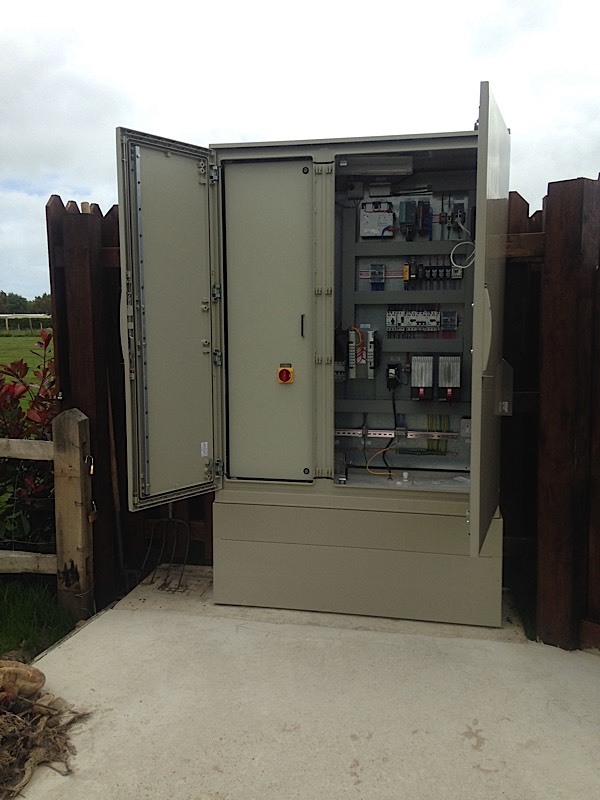 We were asked to Design, Build, Install and Commission a 37kW flood defence system (pump station). 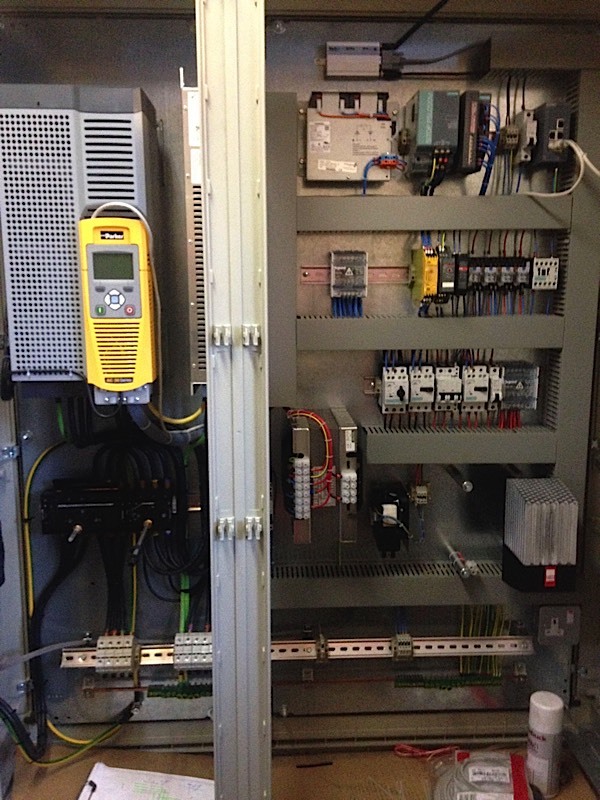 The setup utilised a Parker SSD Ac30 Inverter and all the control programming that would normally have been done in a Programmable Logic Controller was now done within the AC30 Inverter using CodeSys. 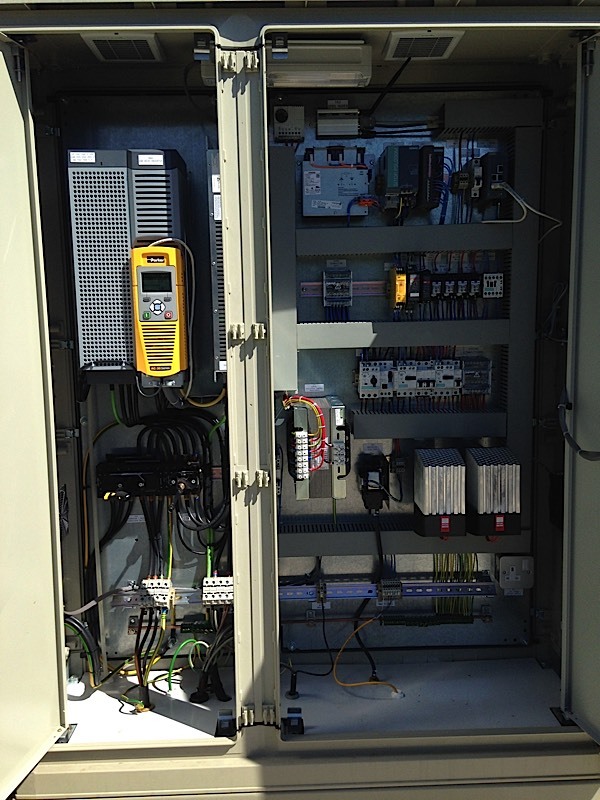 The AC30 Inverter controls the Levels and has a summer and winter level setting, the speed is regulated on level on a PID loop, the AC30 controls and monitors the cubicle temperature and all trips within the panel. 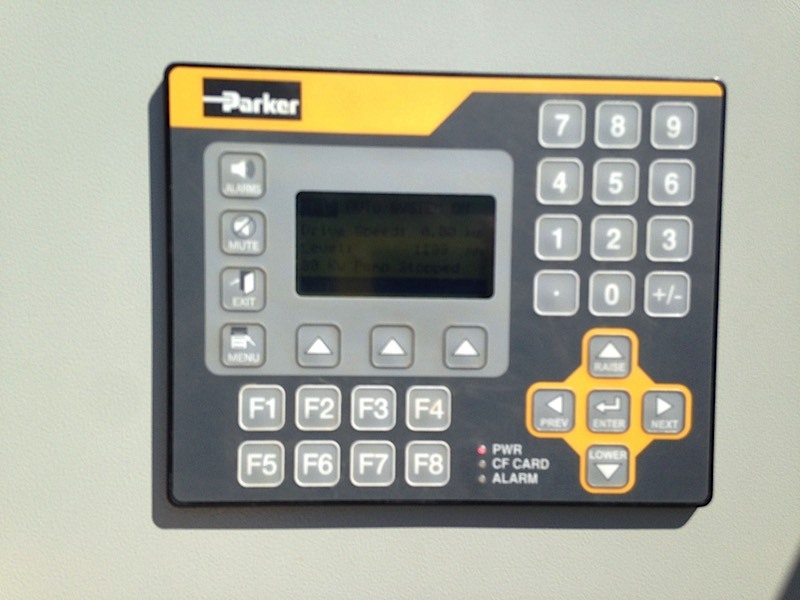 Linked to the AC30 is a Parker SSD TS3003 HMI Display which shows the operator all the set points and setup details, this also sends texts in the event of a fault or high water level.